Bluebird’s Carole Tonkinson has acquired Lean in 15: Fifteen Minute Meals and Workouts for Your Ultimate Body, the first in a two-book deal from internet sensation Joe Wicks, The Body Coach. Carole Tonkinson bought world rights from Jonathan Conway at Jonathan Conway Literary Agency in a heated 8-way auction. 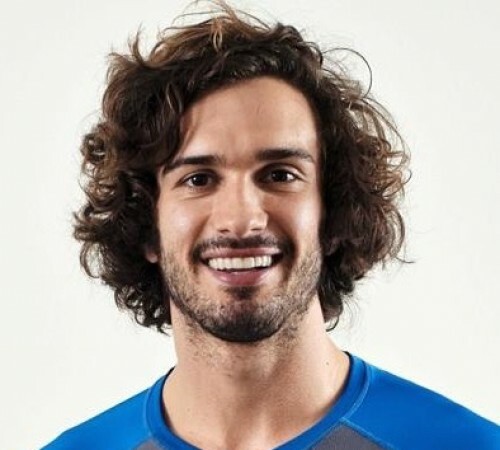 Joe Wicks is an online nutrition and fitness expert who’s taking the internet by storm, amassing a loyal following of 150,000 on Instagram who click daily to see his #Leanin15 meals and see the transformation photos from those following his plan. Joe’s recipes are now going to be turned into a full-colour book, featuring 100 healthy and quick to prepare meals as well as featuring examples of his signature HIIT (High Intensity Interval Training) home workouts. The opposite of the unenjoyable low calorie crash diets, Lean in 15 will showcase delicious recipes and a plan for sustainable fat loss that will inspire busy people to change their body shape forever. Carole Tonkinson says:Joe is one of Instagram’s hottest stars and his fresh approach, brilliant recipes and friendly voice are second to none. I love that he makes a healthy lifestyle accessible to everyone. Joe is not targeting goji-berry eating yummy mummies; he is reaching normal people with busy work and family lives and showing them easy, simple ways to achieve their fitness goals. Joe is our star healthy-eating signing and his book is going to be gorgeous, practical and one of those books we turn to time and again for everyday inspiration. Joe Wicks, the Body Coach says:"I am so excited about releasing this book and spreading my #Leanin15 message around the world. I've used social media and my 15 second video recipes to inspire people to get cooking and get lean and now I can help even more people take control. “I'm sick and tired of all the shocking diets people are on and I'm here to rescue them once and for all. This book is a lifestyle and it's going to educate people about fuelling their body so they never need to diet again." Bluebird will publish in January 2016 with an e-book short featuring 10 recipes in Summer 2015.